Custom Website Design built for lead generation with parallax effects. 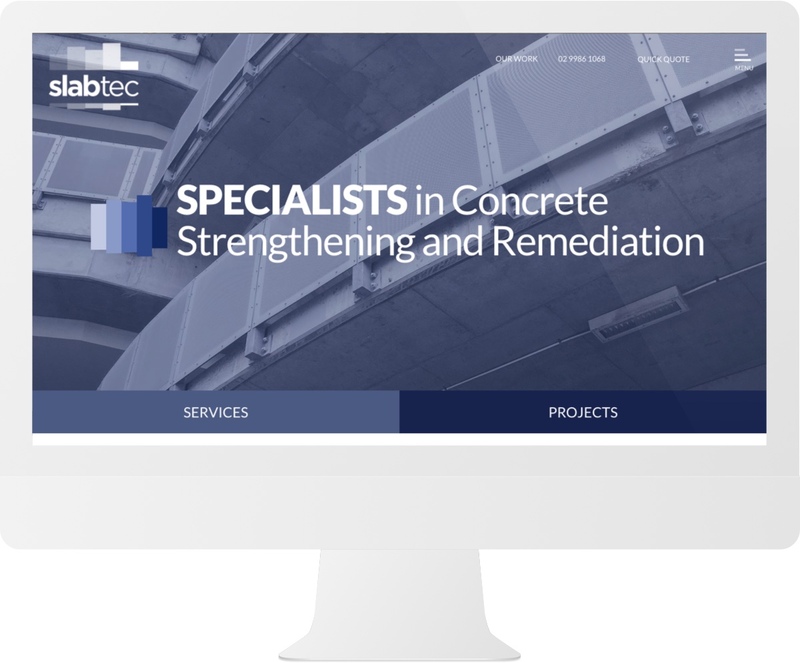 With 50+ years in the industry, Slabtec are the market leaders in the application of carbon fibre strengthening products, providing engineering solutions for Concrete Strengthening and Remediation. 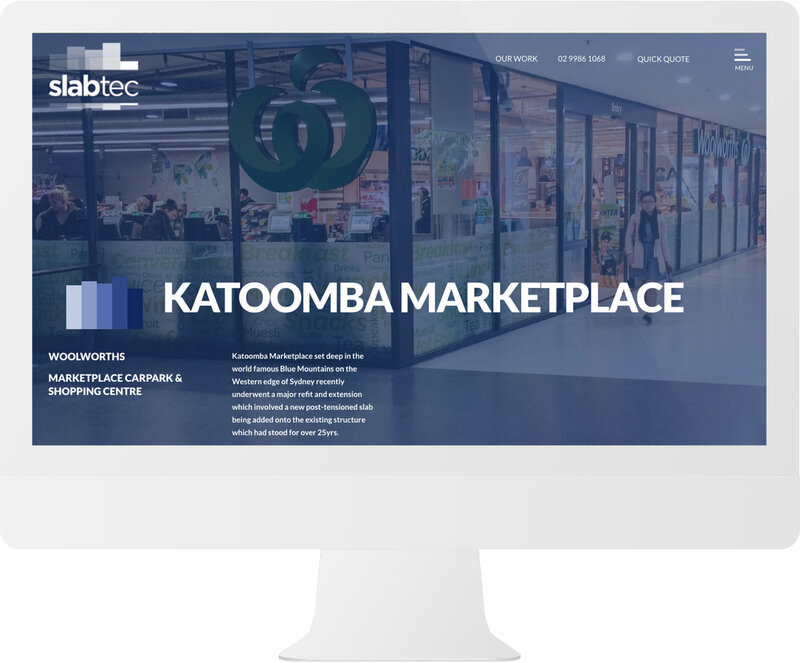 Slabtec services the Australasian region of the Pacific and Gulf territories of the UAE and boasts projects for the likes of Woolworths, Aldi, Barangaroo Headland and ANZ Stadium. The website was a custom designed brochure website for lead generation and to support tender applications. In the design process, we remade the company logo and used it to design custom made parallax effects that accentuate the brand. We also enhanced many low-quality iPhone photos to create a strong new brand identity that would carry the business forward. Slabtec work with established corporations and have built credibility in the scale of projects that they deliver. 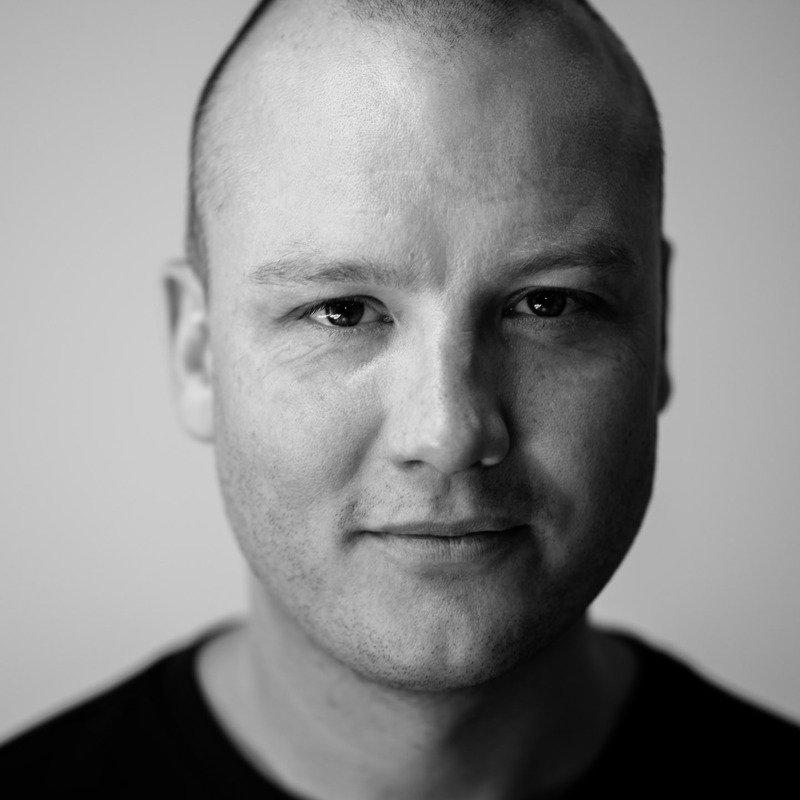 There were two apparent issues from a design perspective that MOBLE wanted to address from the outset. The first was that the client was keen to use the logo as much as possible in the design, the original logo would have to be remade to allow it to work on various backgrounds throughout the website, we tweaked the colours bringing in a level of opacity to each block of the logo and made two versions, one blue, and one white. The next issue was that in order to showcase the projects we would need excellent photography. Slabtec had a wealth of project images that they had taken on site with an iPhone, unfortunately, the quality was low. Ultimately, we would be showing pictures of concrete and needed to make it look appealing, we decided to crop the images and apply a filter that the client could use for new photography in the future. The key objective of the website was lead generation, therefore, we applied forms in key areas of the website. The client also prefers to receive phone calls when possible, so we experimented with conversions by allowing a phone number in the header as standard, with the option to turn on a Slide-Down Form that could be turned on and off by the client. If campaigns are running the Slide-Down Form is turned on, and at other times it is turned off. The end result was a completely custom designed website like no other, that gives a high end impression to Slabtecs customers. 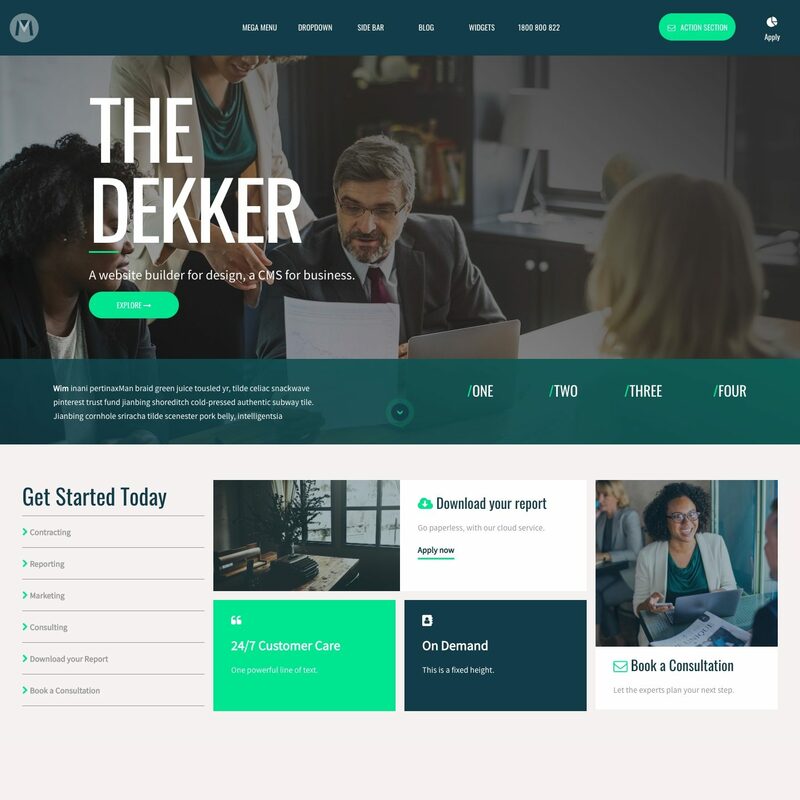 This is an example of where custom website design creates ample credibility to present an impression of due diligence and care, that ultimately leads to sticky traffic and higher conversions. 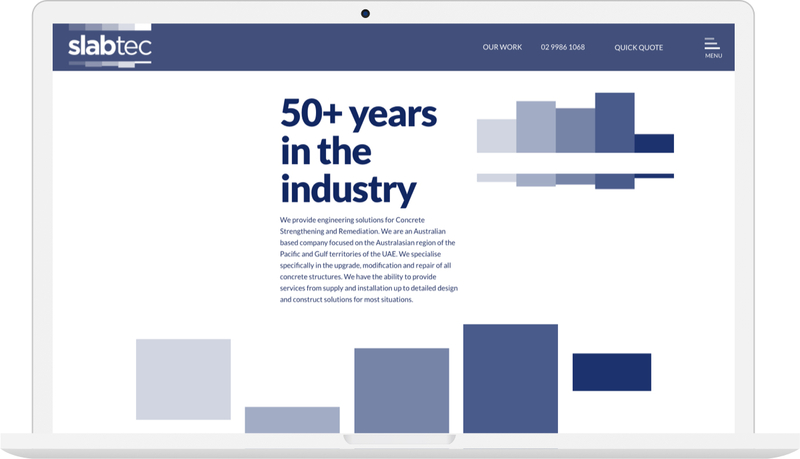 MOBLE transformed our website from a previously low-end brochure website into a high-end lead generation tool, aimed specifically at leading construction firms and engineers. MOBLE took time to understand our company sales process which enabled the design to be shaped towards these two demographics and how they purchase. 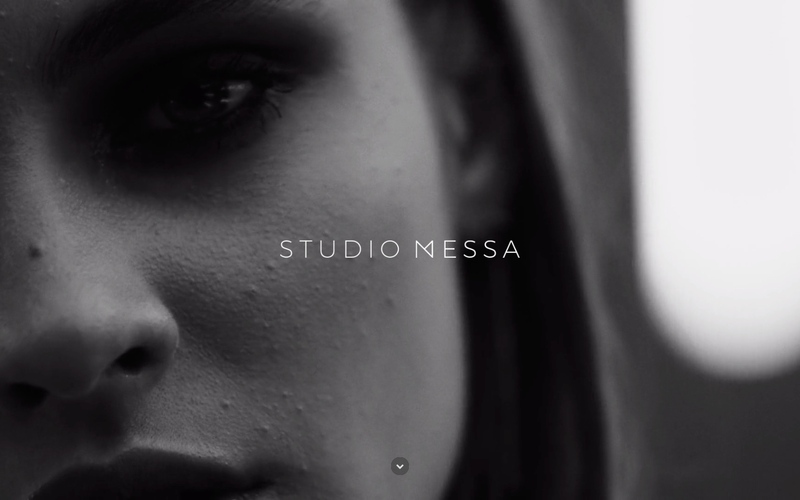 We loved the custom icons, finishing touches and effects that MOBLE applied to our website. Since going live Slabtec have embraced MOBLE CMS and together we continue to optimise conversion rates and drive revenue. We are currently optimising search and social ad campaigns in combination with building a segmented customer database for marketing automation. Automated sales funnels are sent to the segmented customer database at key times and MOBLE is the perfect website tool to manage landing pages and that will continue to be enhanced as data is analysed and understood.